Yanhua Mini ACDP Programming Master support BMW CAS1/CAS2/CAS3/CAS3+/CAS4/CAS4+/FEM/BDC Key Programming by OBD port, no need soldering, which also can read BMW DME ISN by obd, BMW 35080, 35160DO WT EEPROM Read & Write, Fujitsu CPU MB91F Read & Write, Read & Write BMW 35080, 35160DO WT, MQB/MMC Instrument, Refresh BMW Keys and BMW FRM Programming. Work on PC, Android and IOS. 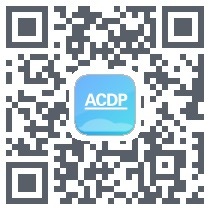 Yanhua Mini ACDP Support 93 /24/ 25 / 35/ 95 Series EEPROM in circuit programming (ICP) and on adapter board programming (OBP), and parts of Freescale / NEC MCU in circuit programming (ICP). This host is a necessary basic configuration for other modules. 1. Free of disassembly, Solderless. 2. Set anti-theft data reading and writing, anti-theft data calculation, key programming in one. 3. The interface board replaces the welding wire, the pin connect with intelligent detection, and the data reading and writing is safe and reliable. 4. With the key refresh function, No longer afraid of loss caused by key be locked. Q: Mini ACDP can support ISN DME MSV90? A: Yes, Mini ACDP Module 3 support this.